By now you all know of the world’s tallest building Burj Khalifa in Dubai, quite a feat of modern technology, engineering and architecture. But did you know the world’s second tallest building is a million times awesomer? 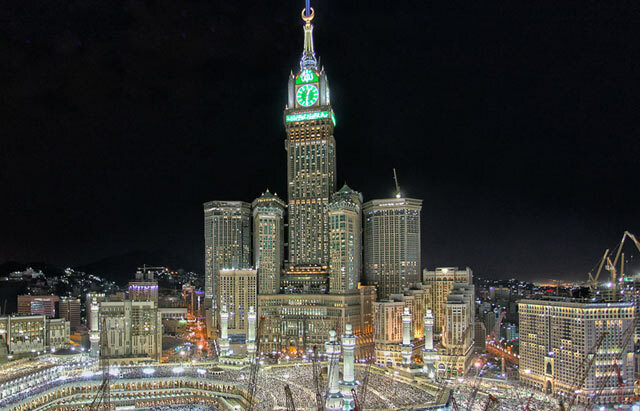 The Makkah Royal Clock Tower Hotel (also known as the Abraj Al-Bait Towers) located in Mecca, Saudi Arabia smashes in at a whopping 120 floors. But not only is this behemoth clock tower tall, it is beefy! Look at how many towers surround that monstrous modern marvel. It’s a friggen city in a tower! 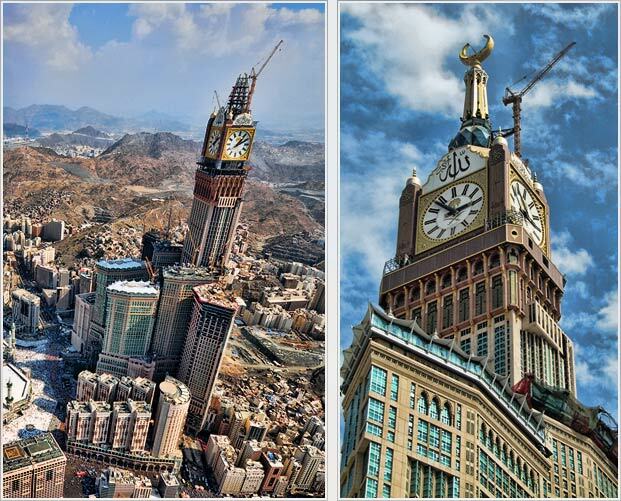 Here you see the Mecca Clock-tower during construction. Note that it is surrounded by a city of rather large buildings yet it is dwarfing them by far. This night shot of the Abraj Al-Bait towers really shows off what a modern masterpiece of architecture it really is. A few more aerial shots of the massive building. Just to put it into perspective how large this building is. Over looking Saudi Arabia’s Mecca super structure. 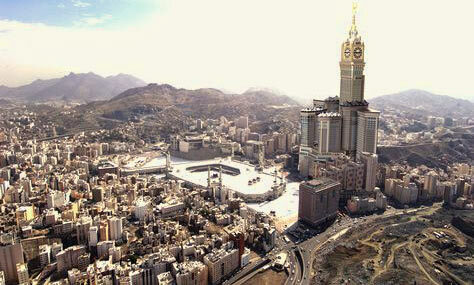 Built to aid in the pilgrimage to Mecca located right behind the towers.